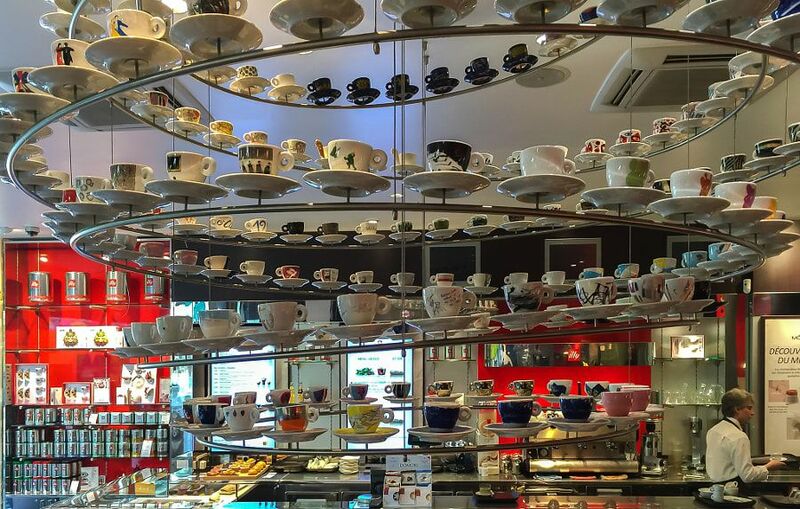 Illy-Go-Round - Together, We Make Memories! Interior of the Illy Cafe in Rue Volney, not far from the Opera Garnier in Paris. After a morning of stalking the perfect image around this incredible city in both rain and shine, the Illy Cafe was just the spot to rest, refuel and plan the evening photo shoot.This fine art image by Pat Kofahl is available in multiple sizes on paper, canvas, metal and plexiglass. Prices start at $49.00!